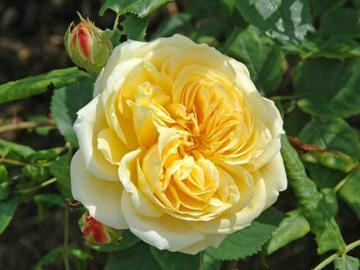 Medium sized shrub rose with double deep yellow flowers, the outer petals fading to cream, produced in succession during summer. Strongly fragrant. Robust and vigorous grower with good disease resistance. Can be trained as a short climber.